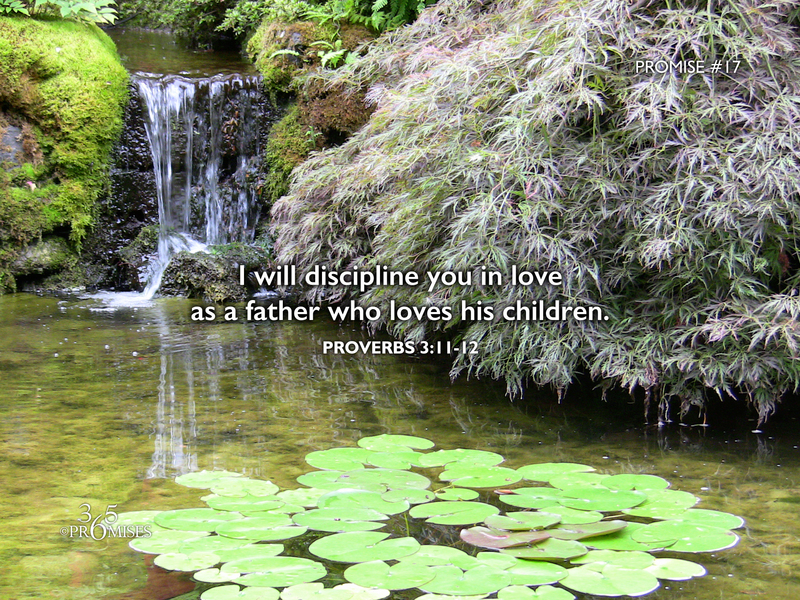 I will discipline you in love as a father who loves his children. 11 My son, don’t despise Yahweh’s discipline, neither be weary of his reproof: 12 for whom Yahweh loves, he reproves; even as a father reproves the son in whom he delights. When we think of being disciplined, we usually default to our own life experience of what that meant for us. If we were treated harshly as children, it would be understandable for us to fear the Lord's discipline because we might see His discipline through the same lens of our own parents. But the reality is, that God is not like any parent on earth. Matthew 5:48 says that He is the perfect father. When our Heavenly Father disciplines us, His motivation is not anger or rejection, but complete love. Just like we would not want our little ones to be burned by putting their hands on a hot stove, neither does our Father want us to be hurt in any way. His heart for us is complete wholeness, so along the way, there will be times when He will need to correct us so that we can learn from our mistakes. In Hebrews 12:4-12, the writer talks in more detail about the discipline of the Lord and how it is a sign that God is treating us as His sons. The end result is for our good and will lead to a harvest of righteousness. My prayer is that the Holy Spirit will dismantle any fear of our Father's discipline that is based on any human form of punishment that we have received. May we all see that our Heavenly Dad trains us and corrects us for our own good because of His great love for us.